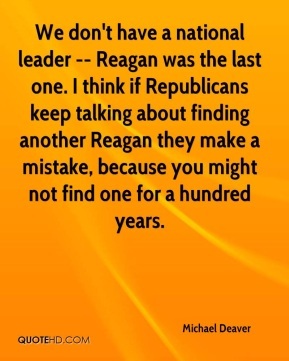 We don't have a national leader -- Reagan was the last one. I think if Republicans keep talking about finding another Reagan they make a mistake, because you might not find one for a hundred years. [Such was Reagan's belief in the power of radio that in the 1970s he turned down an offer to be a commentator on CBS television and instead opted for two and a half minutes of daily syndicated radio commentary.] 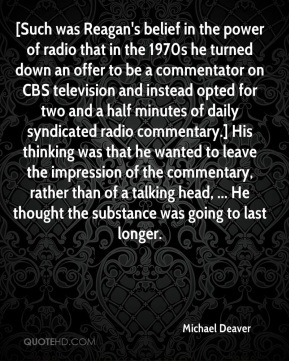 His thinking was that he wanted to leave the impression of the commentary, rather than of a talking head, ... He thought the substance was going to last longer. 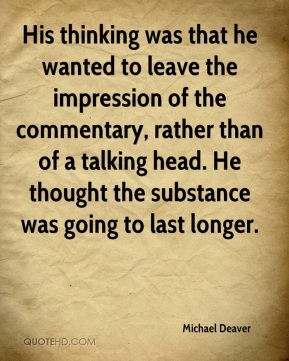 His thinking was that he wanted to leave the impression of the commentary, rather than of a talking head. He thought the substance was going to last longer. 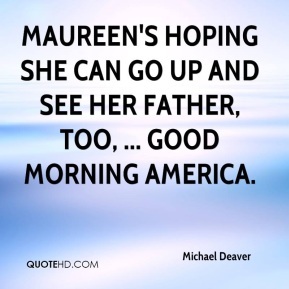 Maureen's hoping she can go up and see her father, too, ... Good Morning America. 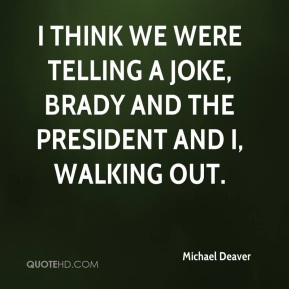 I think we were telling a joke, Brady and the president and I, walking out. It made him a lot more stubborn. 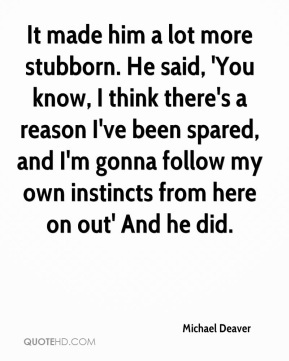 He said, 'You know, I think there's a reason I've been spared, and I'm gonna follow my own instincts from here on out' And he did.